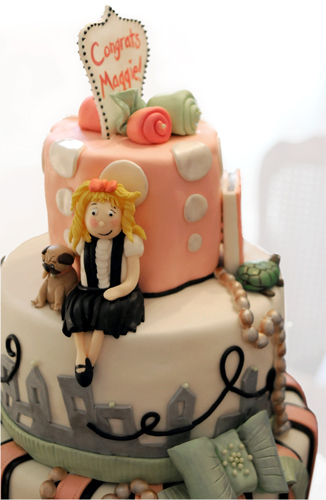 Recently, I was lucky enough to make a baby shower cake based on the adorably adventurous Eloise. Eloise at the Plaza was one of my favorites when I was a little girl, so I hope this cake awoke some childhood nostalgia in the women attending the shower. Looking back at these books, I realized how incredible Hilary Knight's illustrations are. I wish I could have translated more of her illustrative style into the cake, but I still love the way it came out.